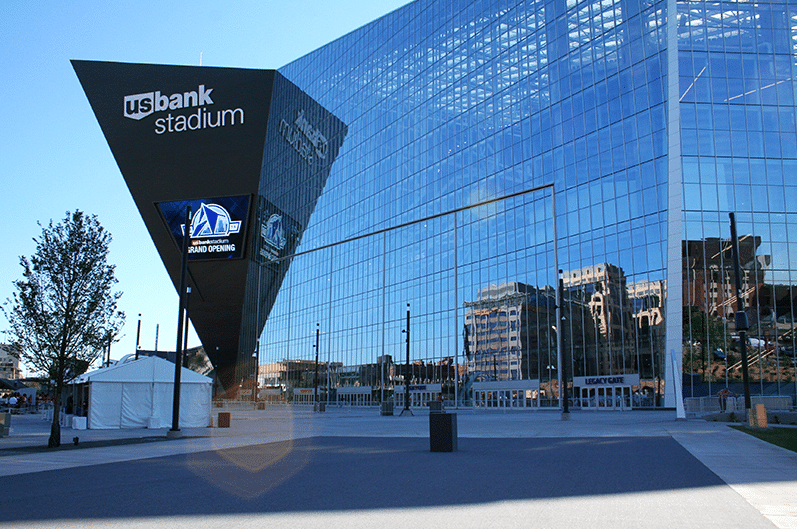 Here is a link to a quick video for the New Minnesota Vikings Stadium featuring The World’s Largest Pivot Doors which we manufactured here in Columbia, TN as well as everything else it took to complete the project. Congratulations to everyone on this impressive accomplishment! Industrial Door Contractors, Inc. was contracted to fabricate these large specialty doors for the Minnesota Vikings new stadium. Each of the five door panels are 55′ wide, varying from 75′ to 95′ high and weigh approximately 160,000lbs (each). The pivoting motion will allow the doors to open so fans may enter and exit the stadium.